When it's time to till the garden, the TC-210 Tiller/Cultivator will turn this difficult job into easy, productive work. 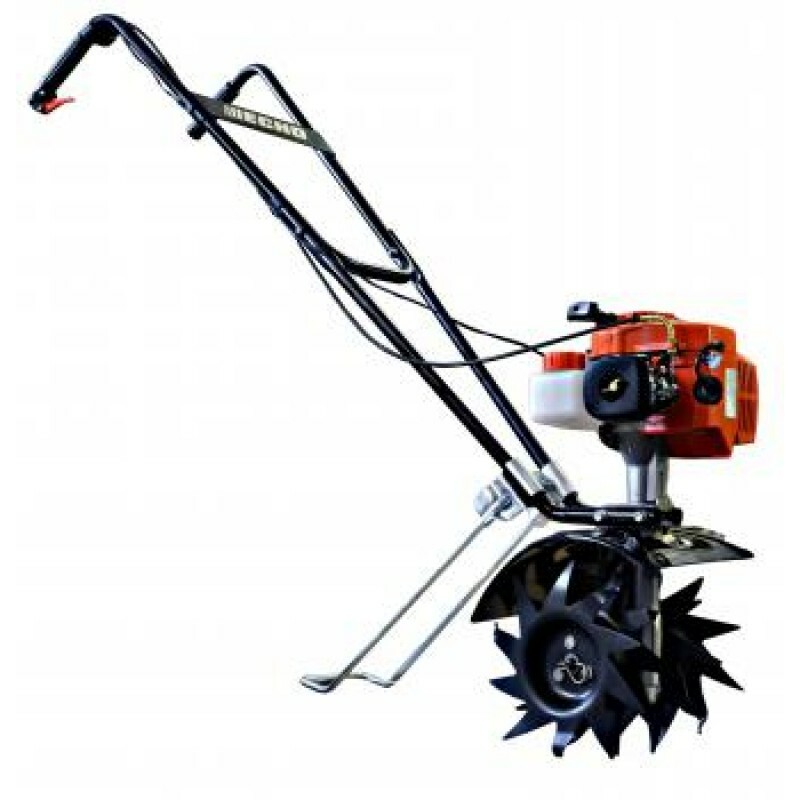 It's ideal for aerating soil and keeping flower and plant beds weed-free. Four, 10-tooth reversible, hardened-steel tines carry a lifetime warranty, and are powered by a 21.2 cc professional-grade, 2-stroke engine for plenty of tilling power. The lightweight TC-210 includes a easy-lift "helper" handle and digs 9" wide furrows that are 10" deep and features a water-resistant stop switch and kickstand for easy storage. All ECHO TC-210 Models are backed by a 5-year consumer and 2-year commercial warranty.